Want to support a worthy social enterprise? Meet Moon Rabbit. 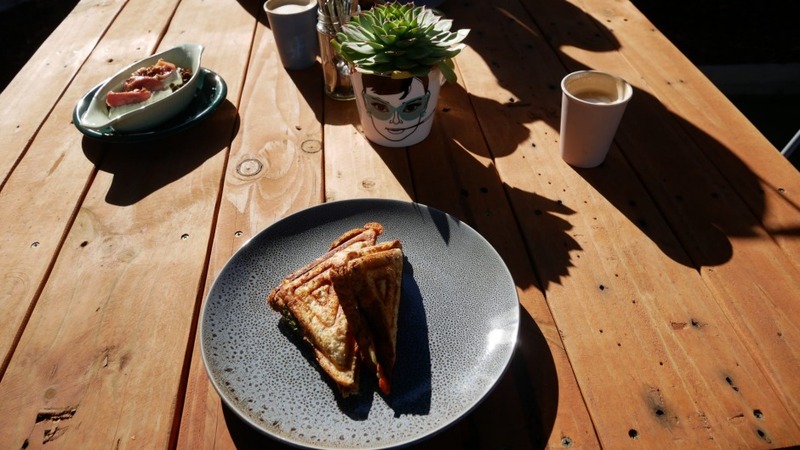 The new Preston cafe, which will start serving jaffles, house-made cakes and coffee on March 16, is not only hard-line sustainable (there's no single-use plastic – no straws or take-away coffee cups); it's also the training ground for a vocational program tooling up students with additional needs. The program is called Tiered Training and Transition and executive officer Chris Lombardo hopes the initiative will solve an issue her own son has repeatedly faced: training programs exist, but there's no follow-up. "People with invisible disabilities, like dyslexia, fear to tell an employer and end up relegated to menial tasks that don't utilise their potential, or fired." At Moon Rabbit, the students get experience. But the program also recruits future employers, and sends support when graduates start to set up the workplace to meet their needs. "They might just need lists, or visual cues," says Lombardo. "It's often so simple." Even better, revenue from the cafe will fund other local programs including Laneway Lunches – a free community lunch that feeds 40 people every Friday. Win win win. Moon Rabbit opens March 16, at 218 High Street, Preston. It will open Mon-Fri 7.30am-2pm.